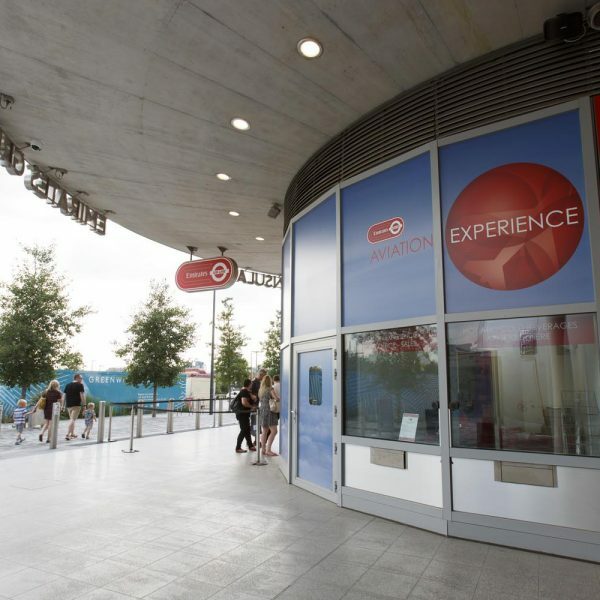 Spend the night at the Emirates Aviation Experience! 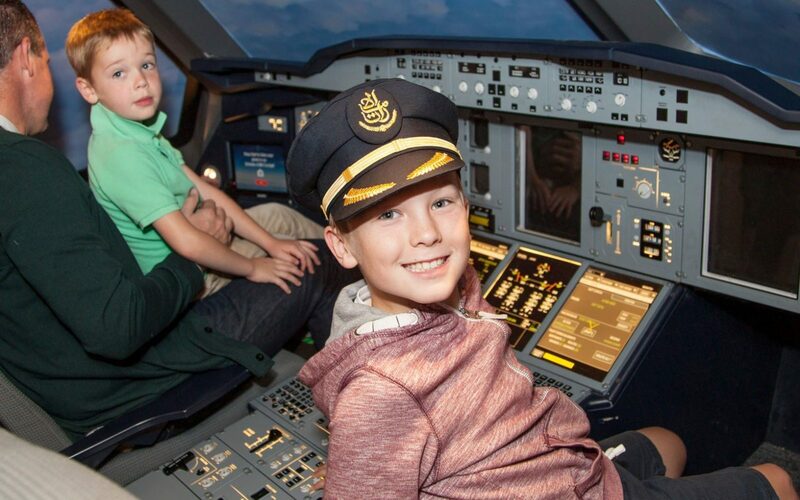 Fly high and join us for a fun filled night of activities on an Emirates Aviation Experience sleepover. 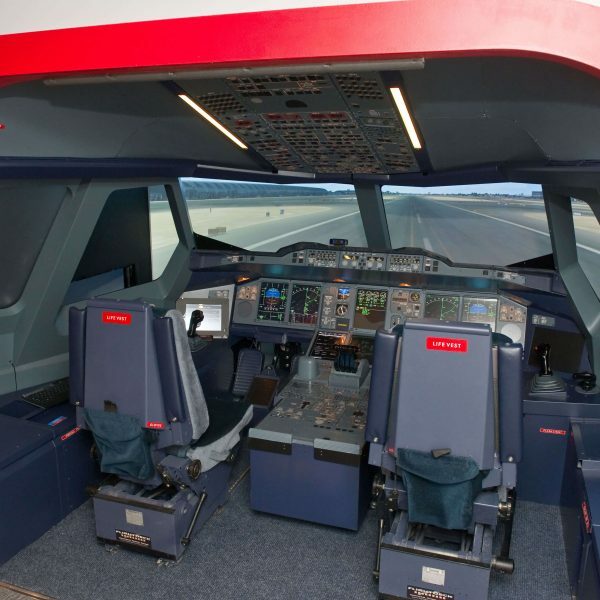 Try your hand at flying an Airbus A380 or Boeing 777 simulator to experience life as a pilot. 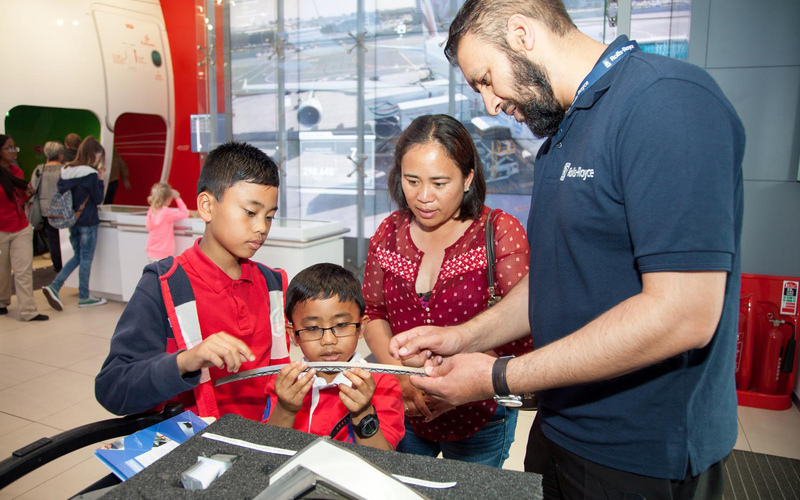 To book you overnight visit at the Emirates Aviation Experience or if you have any questions please email us at education@aviation-experience.com or call us on 0203 440 7022. To secure your reservation, a non-refundable deposit of £100 will need to be paid by either cheque, credit or debit card. We will then ask you to complete a form with the full details of your group. 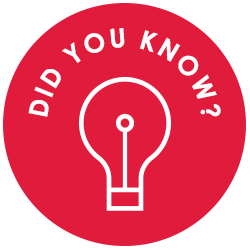 You will then be invoiced for the remaining amount of your visit, which must be paid no later than 4 weeks prior to your visit date. Sleeping bag, sleeping mat, toothbrush, small towel and warm clothing to sleep in, for example a tracksuit (not pyjamas), in case of a fire evacuation. An eye mask (if you are sensitive to light at night), a small torch, a small snack and a bottle of water. 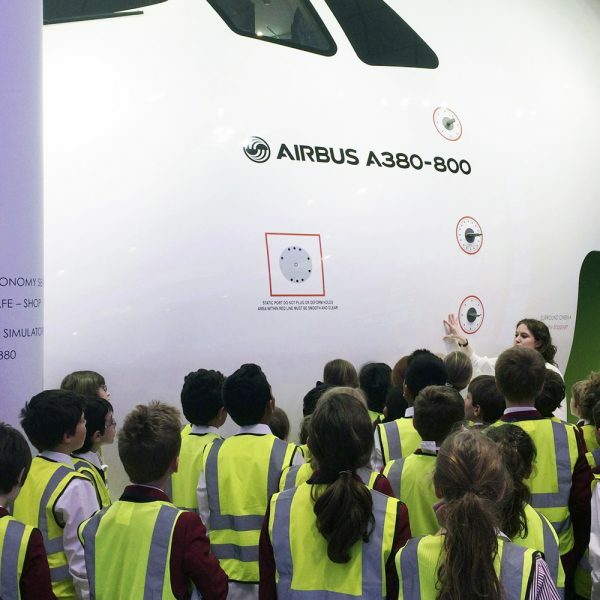 You will be sleeping on the floor of our exhibition, in amongst our life-size nose cone replica, real Rolls-Royce jet engine and aircraft seats. A small evening meal and breakfast will be provided during your stay with us. If you have any special dietary requirement, please let us know. Can we use the shop after our visit? Yes, all groups will get the opportunity to use the souvenir shop after their visit. All groups will be entitled to a 20% discount in our shop as part of their sleepover visit. For every time zone crossed, the human body takes one day to re-align itself with local time.